It was Zoro the Drummer who sent me to the Cape Breton International Drum Festival. Zoro was the editor of Stick It magazine and asked me to do a story on the festival. It was late April 2002. Cape Breton was only five hours by car from my Tantallon, Nova Scotia, home. I arrived at the venue on the Saturday morning and took an end-of-the-row bleacher seat about four rows up from the stage. I remember getting squirmy and decided to climb on the stage to snap a couple of shots. Being a former repo man, I have no problem doing things without asking anyone's permission. So there I was doing my best photojournalist routine, rolling around on my back onstage, while Canadian drummer Jeff Salem was doing his thing. I returned to my seat and a few seconds later my friend Roger Strange, who was sitting next to my right side, elbowed me in the ribs. Suddenly, as I turned to my left, I felt and saw an inked forearm grab my left arm. I looked up to see this bespectacled guy who looked a lot to me as a dead ringer of the legendary Scottish funny man, Ronnie Corbett, of The Two Ronnies! "Ronnie" was serious and as he squeezed my arm he pronounced in what I recognized as some sort of southern hemisphere accent, "Hey, mate! You won't be doing that again!" He had climbed up the side of my bleacher section to give me his message. Without missing a beat, I whipped out my homemade plastic Stick It card and flashed it like I was some sort of Jack Webb/Sgt. Joe Friday three inches from his nose. That's how I met Bruce Aitken - and we've been bosom buddies ever since. I still think he looks like Ronnie Corbett. 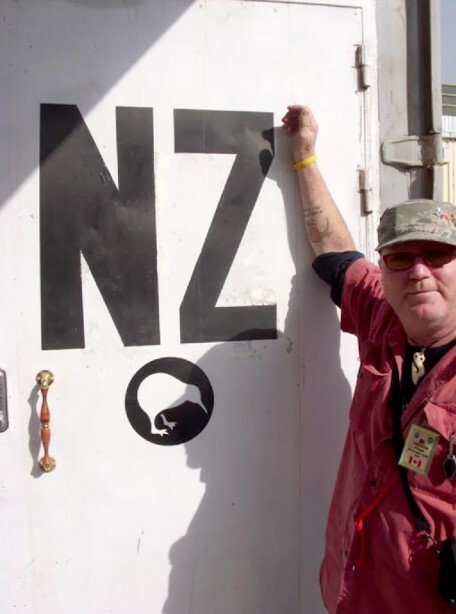 I was born Douglas Bruce Aitken on November 26, 1953, in Dee Street Hospital, Invercargill, New Zealand. My hometown was at the very bottom of the South Island. My father's name was William Wallace Aitken and my mom's name was Betty Aitken. My dad was a cabinetmaker and later became a building inspector. I have a brother Geoffrey Aitken and a sister Lee Searle. I had a great childhood growing up. It was New Zealand in the 1950s. The first time that I remember seeing a drum set was in St. Peter's Church where we were brought up as kids. It was a very strict Methodist upbringing. There was a busload of great musicians, some world-class players at the church. 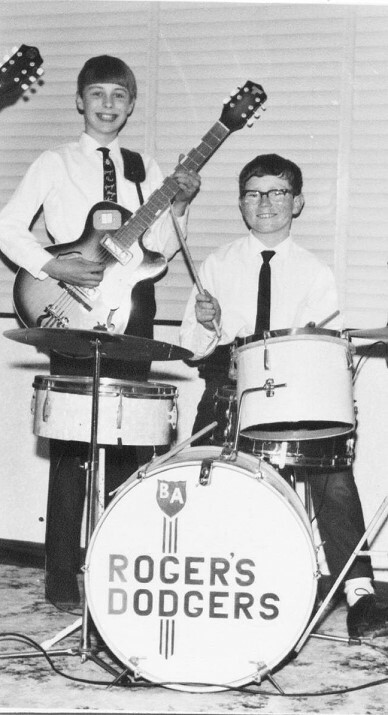 Two of New Zealand's greatest young drummers happened to be at that church. One of them, Lindsay Lang, was drummer for the National Youth Orchestra. The other was Gavin Piercy. They both played in the church band as well as the two biggest bands around town. Lindsay was in the Satellites. I spent my youth just enthralled with the drums and music. Gavin had a yellow sparkle snare drum and I would find any excuse to go to his house just to look at it. When he wasn't there, I would sometimes venture to play it. 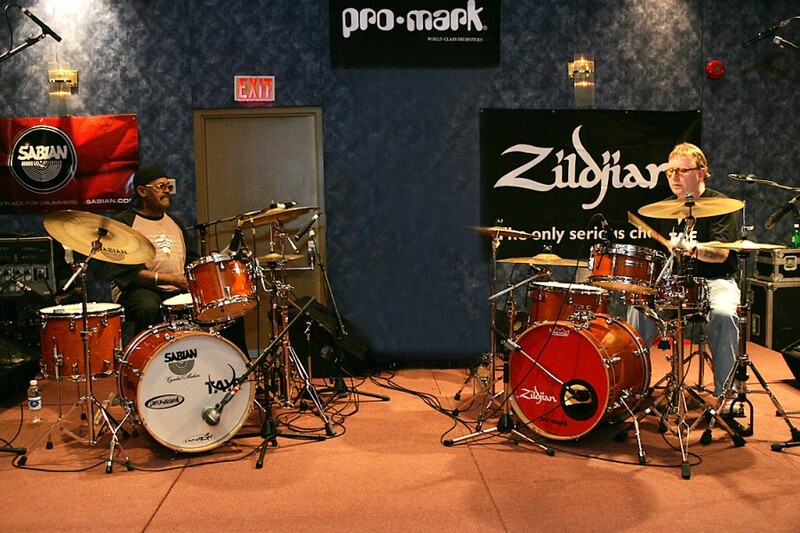 Both Lindsay and Gavin had Premier drums. These guys had the best equipment which was available because in those days everything was British and there were no American drums. The drums that I remember the most were Premier, Olympic and Beverley. There were odd and sods drums around but it was the Premiers that took my fancy. My dream as a child was to have Premiers because my heroes Lindsay and Gavin had them. We didn't have television in New Zealand in those days. I never ever saw The Ed Sullivan Show until the late '80s-early '90s when I saw repeats. My father was an absolute jazz fanatic and had lots and lots of jazz records, tons of 78s. I enjoyed the Tijuana Brass. I was influenced by all the musicals like South Pacific and The Pirates of Penzance. Listening and learning these different styles and intricate parts was very helpful because later on in high school I played in the pit for musicals. My cousin Claire Chamberlain told me that I was hitting things from day one. My dad took photos of us playing cardboard boxes and biscuit tins. We used wooden pegs as drumsticks. I had scribbled on the front of the big cardboard box - The Beatles. Lindsay Lang had given me a military snare drum. I met Roger McLachlan. We were two young boys with a morbid interest in music. Roger said even at our young age we saw it as a way to "pick up the birds." Roger had a ukulele and we started playing in the bike sheds at St. George Primary School. The Beatles came to New Zealand in 1964. We heard the British Invasion as well as the American pop hits on the radio. Every Saturday night from 6 to 7 was "The Top 20" and all of us would gather around the radio in the living room whether it was summer or winter. We would listen to the countdown. It was really exciting because we saw the change go from Matt Munroe, Dean Martin and all those sorts of guys to bands like the Beatles, Rolling Stones and the Beach Boys. The biggest group that I can recall prior to the Beatles was the Shadows. Hank B. Marvin was the man. Then all of a sudden and out of the blue came the Beatles and everything went haywire. I loved the Dave Clark Five because of the sound and recording quality of the drum parts. The drum part that took me the most in my early days was Sweet Pea by Tommy Roe and listening to that snare drum, that backbeat, that bass drum. I had never heard anybody drum like that. I didn't know about session or "ghost" drummers. I didn't know about Bobby Graham, Clem Cattini and Hal Blaine. I still say to this day that Hal Blaine playing Sweet Pea is the drum track. If I could have been on any record, that would have been the one! I just loved the song and it was the first time I was introduced as a drummer to the ghost notes. Every Tommy Roe record had a cool drum part. In those days there were definitely no school bands or drum lines. That was America and not New Zealand. Music classes when I went to school were basically old men showing us things that had nothing to do with modern times. Not that it was a bad thing because they taught us to appreciate music but it was the 1960s and the only thing we wanted to appreciate was Rock 'n' Roll! Roger McLachlan and I started off as a duo. Our name was Rogers Dodgers. My first snare drum was black and had calfskins. My mom and dad were not wealthy people so therefore they did what was best, what they could afford. They encouraged me and their support was unyielding. In high school I formed another band with some mates. We played some dances, the YMCA, church fairs, and Bible class gigs. Roger's father, Bill McLachlan, was the premiere piano player in Southland which is the most southern province in New Zealand. Bill had the legendary drummer John Husband in his band. I had accessibility to both John Husband and his drums. In the third year of high school my father got a transfer, a big promotion, and we shifted from the little sticks of Invercargill, all the way up to the bottom of the North Island, to the capital city of Wellington. Things started to change quite dramatically for me. There were more venues to play but I missed my friends and the Southern Island. After my school years I went back to Invercargill and played with some real good bands down there. I travelled around because I was restless just trying to find myself. In my mind I have always been a professional drummer who sometimes has had to do other work. One day I had the good fortune to see an advertisement in the paper for a "drummer wanted". I went to Petone which was a suburb between Wellington and Lower Hutt. There was a slaughterhouse there and it was a pretty rough sort of a place. My father disapproved and was concerned over my safety. I went down and remember getting out of the car and walking towards the garage and hearing for the very first time the opening riff of Black Magic Woman. It sounded so great. I walked in to find four Maori guys playing the song - two guitars, keyboards and bass. I was blown away. I was the only white face in the room. I knew when I heard that music, I wanted to play it. That was the very first time I met my great friends Richie and Paul Waitai, Evan McGregor and Wayne "Hair" Tairoa. I knew immediately that we had found something very special. The name of the band was Heathen Grace. Our music was sort of like Hendrix, Santana, Deep Purple and Yes. That's when I really got influenced by Mike Shrieve, Ian Paice, Mitch Mitchell, Bill Bruford and Alan White. We won all sorts of competitions and played all over the country. We won the Battle of the Bands in Wellington. I had a double bass drum "bits" set made up of a bits and pieces of two different old drum sets. My dad and I re-covered them in the kind of orange plastic covering that you would put on the table. I had a really good snare drum. After my early experience with drums I realized pretty much from the beginning the two most important things for me were a good pedal and a good snare drum. I had old cymbals that included Krut, Zyn and no-names, but my two main cymbals were old Zildjians - 14" hi-hats and a 20" ride. Richie Waitai and I had lots of bands together including the Boot Hill Band. There was a period in time when we backed all the big pop artists in New Zealand. By this stage, I had taught myself guitar and a bit of piano and I had been writing songs and playing my own music for a long time. I had a really good knowledge of musical notes and theory, so if I saw a guitar chart I could see where we were going straight away. I had spent time in Australia in the late '70s and early '80s but homesickness brought me home. I returned to Australia for further opportunities basically in every aspect of my life but especially with music. It was in 1993 and I was 40 years old. There was a big click there. Some of the bands said that I was "too old". I would answer back, "Do you want someone who is reasonably good - or someone who is reasonably good-looking?" They'd say, "We want someone who is good-looking." That was really depressing so I said to myself that I would play blues or jazz because you didn't have to be young or good-looking. I finally got in with these kids who actually didn't care how old I was. I think it was the first band I had ever been in that had no arguments. It was a revelation. Our name was the Rosicrusians and we were working all the time in Melbourne. Most of the gigs were for the door and you had to have at least thirty of your friends there or you wouldn't work the place again. That kind of stuff went on all the time. I wasn't making any money but I enjoyed playing. I left and joined a cover band. Then I saw an ad from guitarist Peter Coomber. I rang him up and it turned out that he was from New Zealand. He was an amazing guitarist. One day Peter told me that he was going to jam with Lobby Loyde. 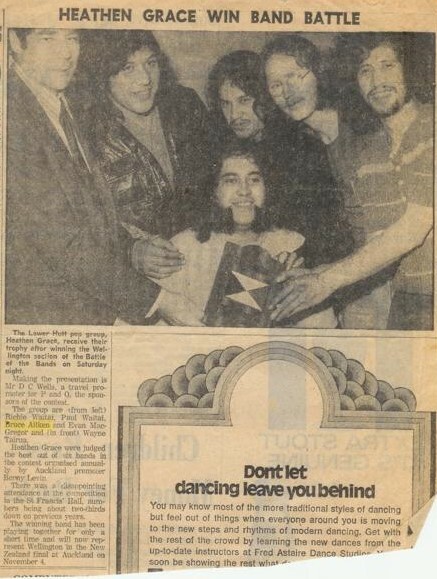 I found out that Lobby was a serious musical legend and was called the "Godfather of Australian Heavy Rock 'n' Roll". Lobby's guitar playing was revolutionary. He influenced AC/DC, Rose Tattoo and Nirvana. Lobby's history is the who's who of Rock 'n' Roll. Peter Coomber, Lobby on bass, and myself jammed. It was amazing so we formed this bond and the band became Fish Tree Mother. We recorded and played lots of great venues. In those days I was playing a mixture of Pearl drums and roto toms. I also used Pro Mark sticks. Lobby Loyde was inducted into the Australian Rock and Roll Hall of Fame and passed away a few years ago. Lobby told me so much about drums and drumming and he gave me the confidence to fly without the safety net, to take chances and be myself. Lobby Loyde was my friend and I miss him dearly. In 1998, I shifted to Cape Breton Island. I jammed with such Cape Breton artists as Gordie Sampson, J.P. Cormier and Matt Minglewood. I bought a set of red Pearl Forums which included a really awesome old Tama bass drum pedal. Then I got a sunburst Pearl Session kit. The guy I bought them from threw in some old Zildjians. The Cape Breton International Drum Festival came about after a conversation with a friend. 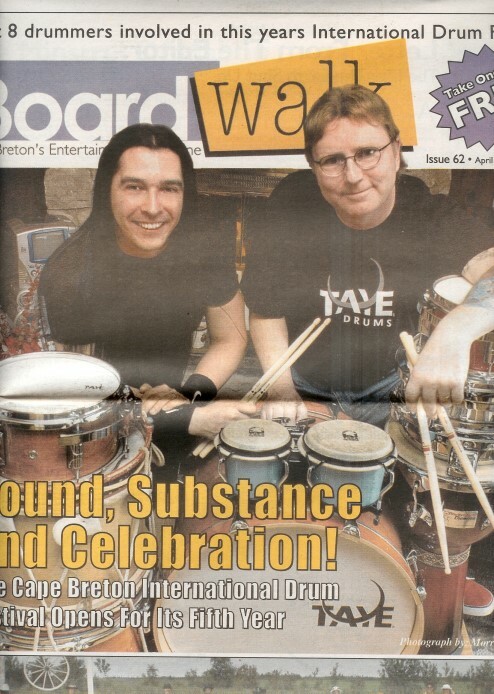 The first year was in 2001 and we had Billy Ward, as well as Canadian drummers Randy Cooke and Charlie Cooley. It was a two-night event. There might have been a hundred people there. The next year it grew and there was two hundred patrons. That was the first year Dom Famularo came to the drum fest. Zoro was there and I met Mike Megaffin through him. Mike came aboard and throughout the years our show has grown and we have met all our heroes. I would like to say that performing on the same stage with two of my biggest drum heroes – Bill Cobham , Denny Seiwell and Uriel Jones - are some of my life's most treasured moments. Our main theme of the Cape Breton International Drum Festival is to promote drumming in this region. Our motto is "Education through Performance". I played with some more young guys in a group named Beneath The Blue. Afterwards I met international blues artist John Campbelljohn. I played with John for about eighteen months doing three tours of Canada plus a tour in Europe. That's how I saw Canada for the first time - from the back of a van. I met Ray Ayotte and started playing Taye drums. I was very busy teaching all this time and had a roster of about sixty students. 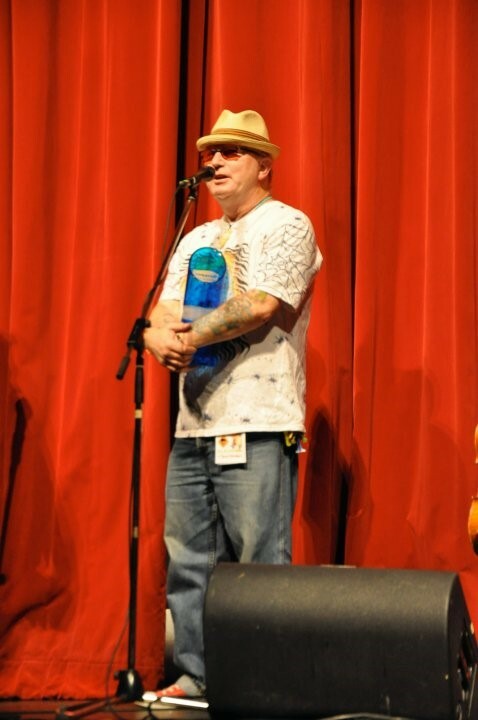 In 2004, I won "Musician of The Year" for Music Nova Scotia. In March 2005, I had a massive heart attack and was lucky to survive at all. I got out of hospital a week before the drum fest. In 2006, I did a clinic tour of New Zealand. That was the first time I was home in some years. The first clinic was in my hometown of Invercargill. Around 2007, I met Scott Atkins of Sonor Drums and I became an endorser. I'm thrilled to play these high-quality drums. I met George Millar of the Irish Rovers and played their Canadian Christmas tour. I really enjoyed that. Their music is a whole different kind of music - Celtic music. It was a challenging gig - lots of wood block stuff. The next year I played with the Irish Rovers on St. Patrick's Day concerts in Halifax. What could possibly be more Irish than that? After that, I did a tour from the Maritimes to Montreal with the legendary Fred Eaglesmith. 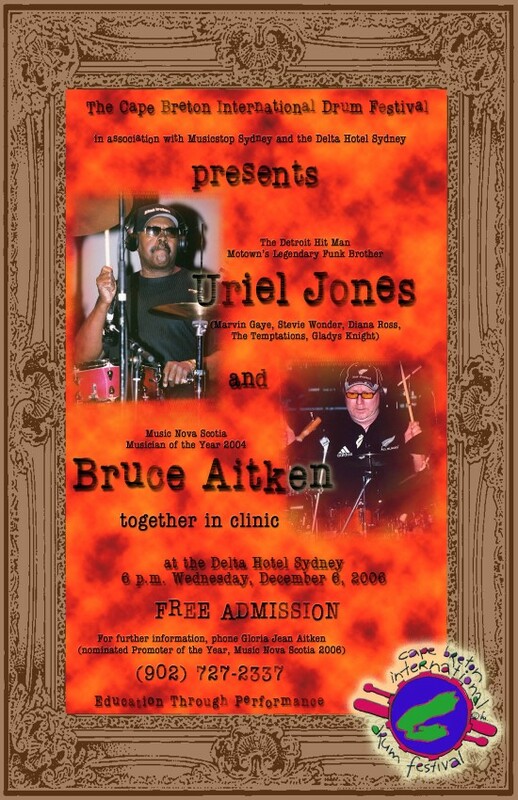 In 2008, I was invited to play at the Australia's Ultimate Drummer Weekend which is the largest drum festival in the southern hemisphere. I hooked up with my oldest friend Roger McLachlan and we performed the festival together. It was the first time we had played together in forty years. Later on in 2008, I went back to New Zealand to be inducted, along with Roger McLachlan, into the Southland Rock and Roll Hall of Fame. We put back together the old band, Rogers Dodgers, and played at a big show. It was absolutely a bundle of fun. In 2008, I got a call out of the blue to see if I was interested in going to Afghanistan in a support of the troops tour. Doing concerts in a war zone was an extraordinary experience. I have been an avid collector of drums and through my life I've played a lot of drums. At the end of the day I like to go down to the bat cave, turn the lights on and just marvel at the beauty of drums. When I was a little boy the drum that I wanted the most belonged to Gavin Piercy and it was a yellow sparkle snare drum. That was the drum I wanted. Now in my possession, I have five yellow sparkle snare drums. My journey through life has been a total roundabout. 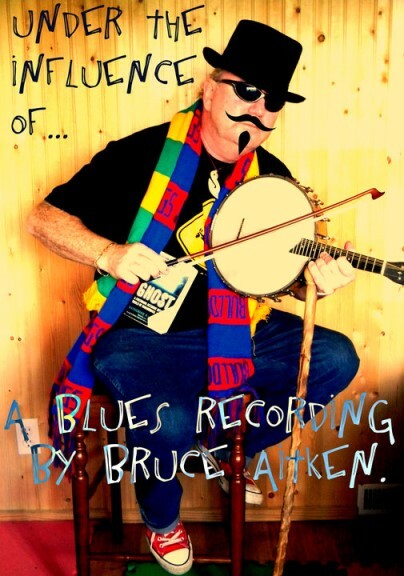 Bruce Aitken is a talented singer-songwriter. He plays for the song and from the heart with an impeccable groove. Bruce is the funniest guy I know. This is a perfect example of what Bruce has done and is doing for the Canadian musicians. I'm proud to be a part of his wonderful projects. Be sure and attend his festivals. You'll be happy that you did!! My very best to Bruce and a warm thank you for having me be but a small part of your gigantic festivals. I'm wishing the very best for you and your family of top musicians, in the past, the present and the future!! Bruce Aitken is an international treasure for all drummers - and a damn good drummer himself. Working with Bruce on the new ASANI album was an absolute pleasure. He is a groove man and a quick study with a winning personality and a wicked sense of humour. I definitely look forward to working with Bruce again. Bruce is an absolute dream to work with and his kit-playing on Asani's latest album, Listen, is nothing short of fantastic!! It was a real privilege to work with such a great player. Bruce Aitken is a fine drummer with compassion and a true heart for drumming. He has always impressed me with his knowledge and diversity. 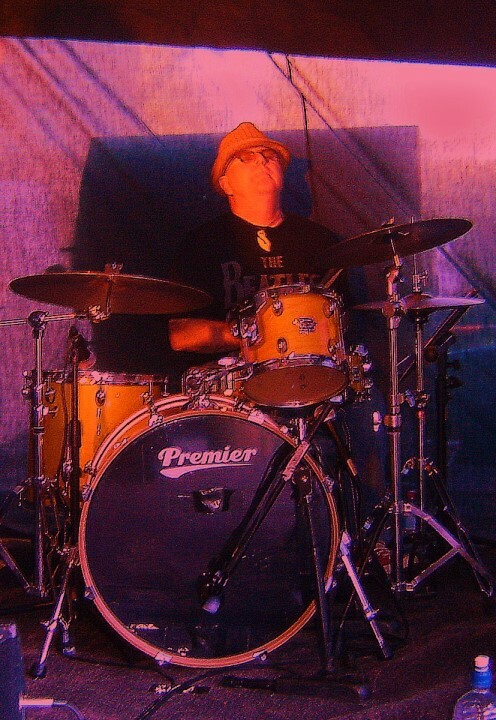 Bruce Aitken is a drummer's drummer. He is not afraid to experiment in his musical endeavors, which I believe is so desperately needed to forward music in any art form. Bruce is a pioneer and an all-around nice guy. Too bad he is from New Zealand!!!!!! I'm kidding!!! Bruce is one of the most sensitive persons I know and has a heart of gold. He really deserves this honor. 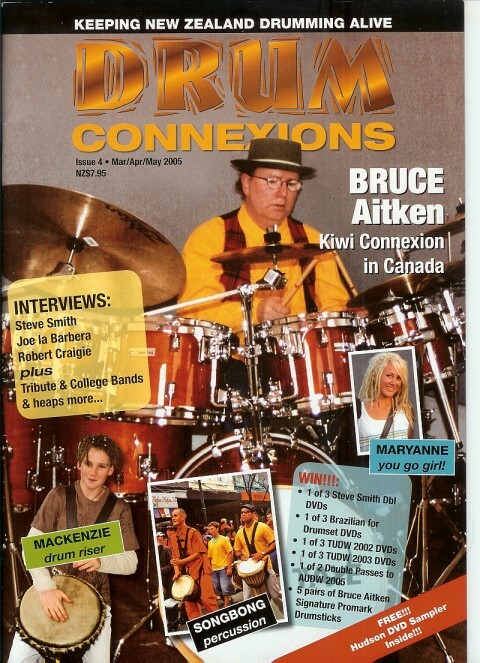 We had the pleasure of featuring Bruce Aitken at our Australia's Ultimate Drummers Weekend 2008 (AUDW). His unique and musical drumming approach was loved by all who attended. Bruce is a lovely guy who not only is a well respected drummer but the Cape Breton International Drum Festival is one of the best I've played. He pays everyone well, treats you like royalty and runs the most on-time festival in great venues with the lights/sound like a big concert. I'm going back in May 2010 for my second one. I wouldn't be going if it wasn't as great as it is. All drummers must see this drum fest .... just the location will blow you away. Bruce gets the world's greatest drummers up there and they all love him. The festival is run with great passion - the same passion he has for his drumming. This story is dedicated to Lobby Loyde, Uriel Jones and Bobby Graham.